Mummies were in the Warhammer canon for Old World Undead when Blood Bowl was created. Later they were written out of the army because their Egyptian flavour doesn’t match the gothic Undead, and turned up among the Khemrian Undead as Tomb Guardians. While the Blood Bowl universe is not the same as the Warhammer one, it’s still true that the Egyptian flavour doesn’t match the rest of the Undead team. 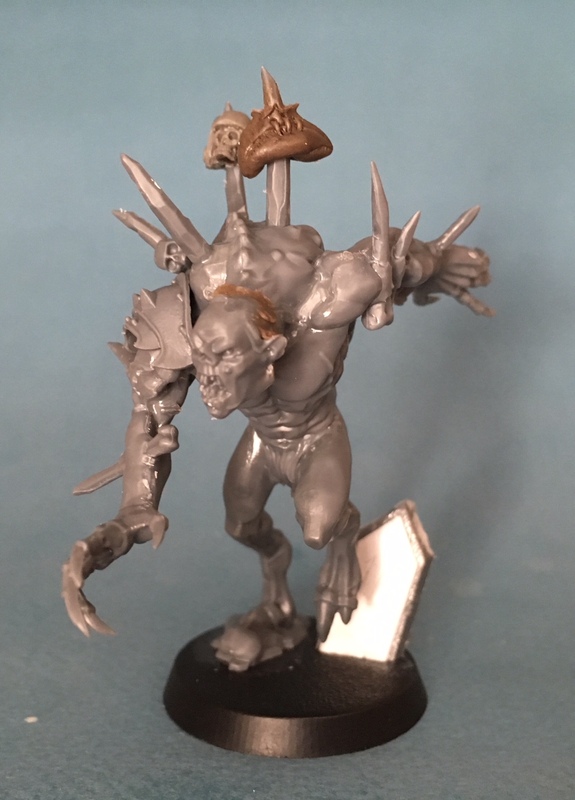 It’s also true that most Blood Bowl mummies don’t look like Strength 5 players. 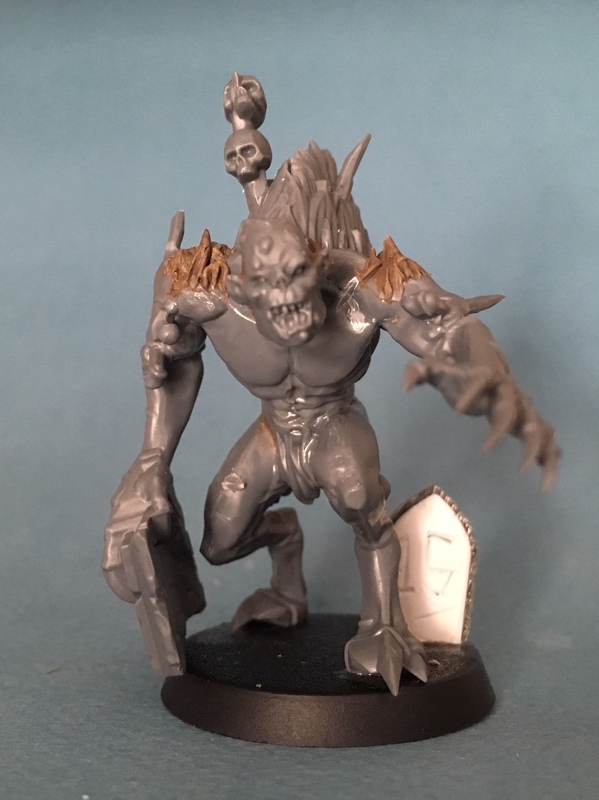 I resolved to find a suitable replacement Undead “mummy” and as luck would have it shortly before I started my team Games Workshop released the Crypt Flayers – effectively super sized ghouls. These will fit more thematically into the team and are big models so there is no confusing them for anything other than Strength 5 big guys. I more or less built these out of the box and according to the instructions. The kit is monopose, but much like the smaller ghouls, with some work could be varied if you want to achieve a specific pose. Here is Manny (as in Mannfried) “the Mausoleum”. I essentially altered the direction of the head and repaired the join, gave him a chaos warrior shoulder pad and then impaled a blood bowl head and deflated ball on his back spikes. Sorry, but I just love this ball and it took no end of attempts to get right – my approach was to sculpt an intact ball and literally impale it on the spike, then refine the tear where the spike erupts from the ball and redefine the seams before adding a few laces for that characteristic look. Tombstone Frank, well, he carries a headstone which is about as in theme as you can get for this team. I just added some more fur – probably because the joins at the shoulders were too prominent.